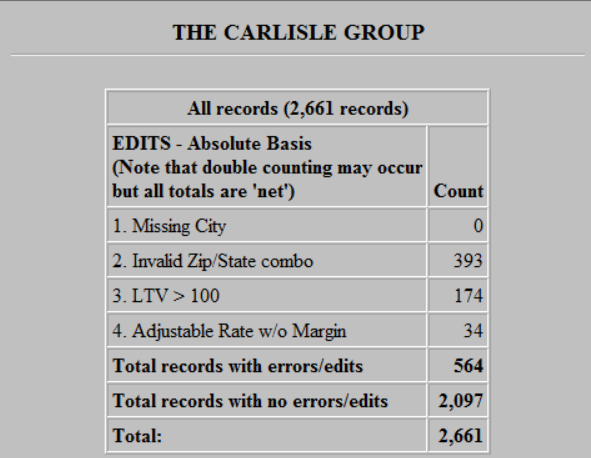 Welcome to The Carlisle Group's Knowledge Base. This is a keyword search that looks for matching articles that contain one or more words specifically by a user in articles’ tags, title and content. Admin writes brief intro content here via admin end. If you are unable to find an answer to your issue, please submit an issue here. What does an Edit Set do? An Edit Set flags records that meet or fail specific criteria. You can flag bad data, missing data, data mismatches, and records with characteristics that are risky or don't meet guidelines. An edit set usually serves as a precursor to running strats, as it can quantify the invalid data in your file. How do I create an Edit Set? Right Click on the icon and select "Properties"
On the edits tab, use CAS Selection Statements and a description you want to display on the output. 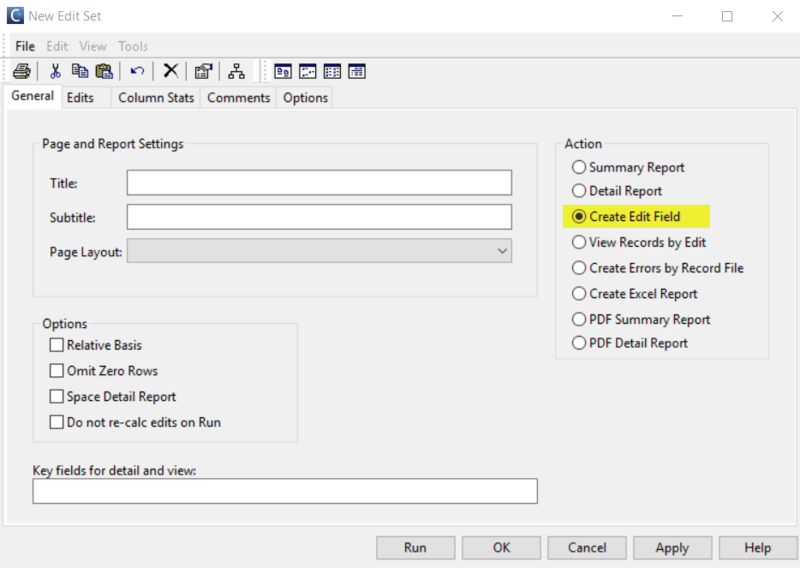 When you run the Edit Set, the default output is a Summary Report. You can add more columns using the Column Stats Tab. Another Option is to use the "Create Edit Field" Action from the General tab. This adds a field to your file, the default name of that field is ERROR. It contains a number or string of numbers that correspond to the edit which that record falls under. Below is a look at different unique values of the field ERROR, as they relate to the edits above.